I decided to separate the fashion and music news because there was so much going on this week across the board. Just in time for the holiday season, Urban Outfitters has a released a list of "12 Days of Dresses" with dresses named for each day of Christmas. My personal favorite is the Drummer's Dress. It has just the right amount of shimmer to be festive, but is still understated. In their ever continuing effort to take over the world, Google has launched a new fashion site called Boutiques.com. Basically, what it does is quiz you about your style by asking you to choose your favorite between two pictures (usually of celebrities or fashion bloggers). It then asks you to choose your favorite silhouettes of dresses, skirts, tops, shoes and pants. Then your favorite colors, patterns and designers. It also asks you to choose your least favorite among those categories. From that, they determine your style. Mine turned out to be a mixed of boho, casual and edgy. It then compiles a store (or boutique) of items based on your style. While it's a good concept, it's been done before, and to greater effect. I've used a service called Covet for nearly a year now that uses almost the exact same process to determine your style. What it does as well, however, is allow the user to enter preferred price ranges for each item. For example, I won't pay more than $100 for a pair of shoes. Just in my Google Boutique, there is a pair of $250 shoes, a $500 dress and a $375 pair of pants. Am I ever going to buy these items? No, and I'd prefer not to see them. Also, Covet sends daily e-mails of items that meet my specifications. I like that, even if it does make me want to buy. One thing that the Google application is doing to set itself apart, however, is adding a social networking component. So, I can create my boutique and other users can follow the boutique. I'm not going to pretend to be a Twilight fan. I am not; I have read none of the books nor have I seen any of the films, and do not ever plan to. I do, however, love a good fashion story and there is one here. There has been much speculation going on about who would design Bella Swan's wedding dress for the final film in the series. The most heavily rumored was Zac Posen, who recently denied his involvement, stating that he designed for real women. 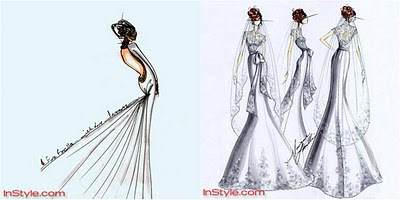 Still, someone is going to be designing the dress and there are many designers still up for the project. 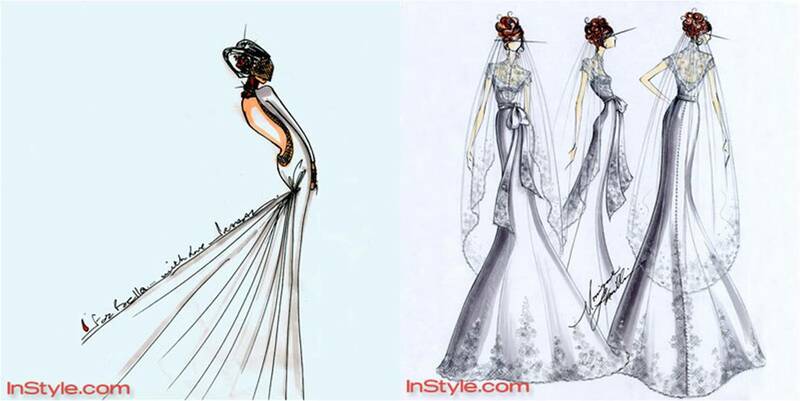 InStyle recently released a series of drawings made by various designers, from Lela Rose to Christian Siriano, of potential dresses for the film. While I can't speak to Bella's style and what would best fit the character, I personally love the romantic lace of Monique Lhuillier's design and Prabal Gurung's modern creation. In their latest designer collaboration, H&M has launched a collection with major fashion house Lanvin. A lookbook and video were released several weeks ago, and a fashion show was held Thursday night. 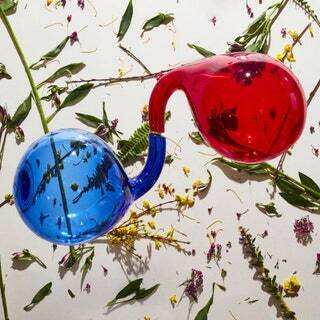 The collection was officially released this morning to great fanfare. In not beyond amazed with any of the pieces, but it's a cute collection overall. I'm also not in love with the price tags. As seems to be the case with all of H&M's designer collections, it's priced at a great premium to the general collection. While it's much less expensive than the designers' collections, it's still a bit more than I think the average woman is willing to pay.